After much anticipation, Street Fighter V released on PC and PS4 on February 16, 2016. Many hoped the title would take the long-running series to even greater heights, as it was running on a new engine, introduced new characters, and had an intriguing new V-Gauge system to make fights even more interesting. Unfortunately, the title was met with disappointment by many fans initially at launch, as the lack of purely single player content was underwhelming. 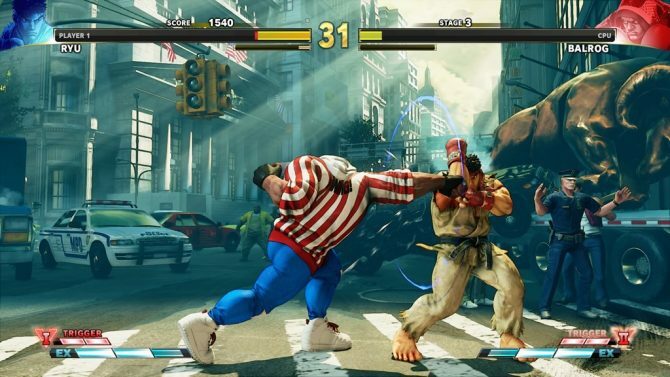 Now, almost two years later, Capcom has made tons of improvements to the game and released Street Fighter V: Arcade Edition, which bolsters the game’s single-player content greatly. While you can make the argument that the game should have been this feature-full at launch, if you have been hesitant to jump into Street Fighter V, now is probably the best time to do so since launch. To fully understand the improvements that have been made, you must be aware of what was present when the game launched. Sixteen characters graced Street Fighter V‘s roster at launch, ranging from series mainstays like Ryu, Ken, and Chun-Li to new characters like the Middle-Eastern Rashid and the evil F.A.N.G. While that roster may seem a tad small to some, it’s a solid number to keep things somewhat manageable and balanced when it comes to the metagame. On the gameplay side of things, Street Fighter V keeps the classic combo-based gameplay of its predecessors with some minor tweaks and balance changes. The game introduces just one big new gameplay mechanic: the V-Gauge. 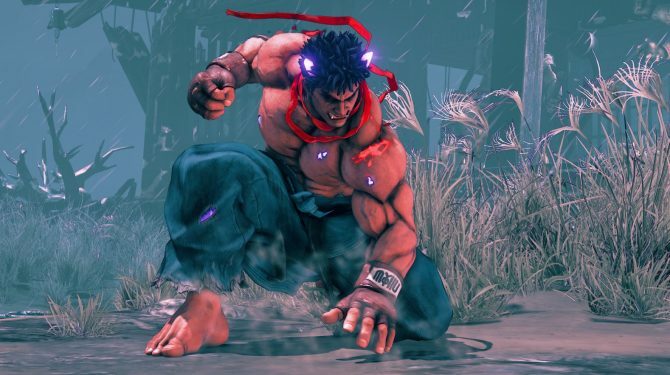 Without going into too much detail, this gauge allows players to use special V-Skills, V-Reversals, and V-Triggers to help out during a fight; this is what allows Ryu to parry, a mechanic that had otherwise not been seen since Street Fighter III. On the gameplay side of things, Street Fighter V has always been quite solid. Some issues like minor input lag were addressed by Capcom in the months following launch. This enabled the series’ ever-present metagame and notable eSports spot to maintain after the game’s launch. Unfortunately, this tight gameplay was the best thing about Street Fighter V (as is pointed out in our review of the game at launch), and it suffered most in a spot deemed very important for many: variety in content. When it comes to multiplayer, the game had the usual casual and ranked online multiplayer modes, but suffered from pretty bad lag issues, like many others titles. This means many people turned to the game’s single-player content at launch, which was inexcusably thin and clearly catered just towards those who played the game competitively. At launch, you could play sixteen short character stories in order to unlock costumes to buy a month later when the in-game store opened, mess around and craft combos in training mode, and test your skills in survival mode. And that was pretty much it; there was no arcade mode, which is pretty shocking seeing how that mode was usually the one thing you could rely on most fighters to have. 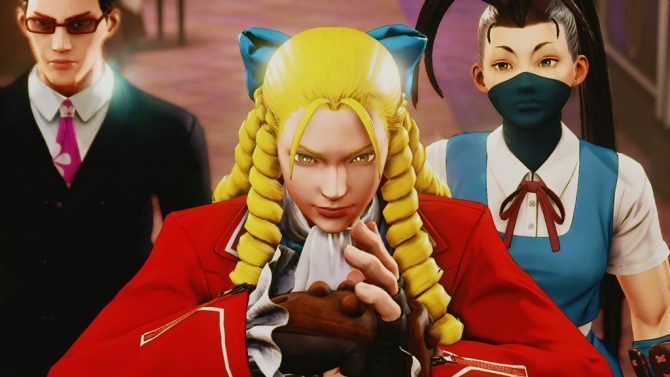 While no true reason was ever given for Street Fighter V’s bare-bones amount of content at launch, it seemed like Capcom and Sony wanted to push the game out early in 2016 so competitive players would have an ample amount of time to refine their skills and prepare for that year’s EVO and Capcom Cup. This lack of content had the unfortunate effect of making tons of players, including myself, drop and return the game and wait to pick it back up until it had much more content. Some people decided to not buy it altogether, and it showed. Capcom planned to sell 2 million copies of the game in the month after launch; unfortunately, the game only shipped around 1.4 million copies in that time. Fortunately, Capcom would spend the next two years of development fixing problems and add tons of new content, culminating in this year’s Street Fighter V: Arcade Edition. The first large update for Street Fighter V came in March 2016. This added the in-game store, where players can use in-game currency to buy things like DLC characters, stages, and costumes. It also cracked down on rage-quitters, fleshed out challenge mode with new sub-modes, online rematches, eight-person lobbies, and other balance changes. This started to flesh out the single-player content a bit more with challenge mode, but did have a strong focus on online components. 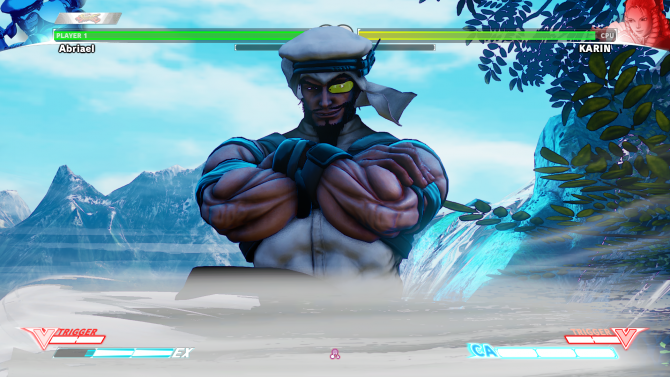 Then, on July 1, 2016, Street Fighter V‘s story mode, titled A Shadow Falls, was released in an update that also included new costumes, stages, and characters. A Shadow Falls helped to give Street Fighter V the substantial single-player presence it needed. While the story isn’t anything amazing, and battles can actually be skipped, it is quite enjoyable. It may have been underwhelming at the time of release for some, but it is still a clear high-point for pre-Street Fighter V: Arcade Edition single-player content, even if the genre-standard arcade mode was still missing. Of course, there were also a plethora of online balance and gameplay tweaks added too throughout the rest of 2016 and 2017, but this article would become way too bloated if we tried to cover them all here. One thing we will talk about though is how Street Fighter V has received a steady amount of new characters consistently since launch. This started with Street Fighters III‘s Alex, but the game has now basically doubled its roster, including tons of diverse characters. 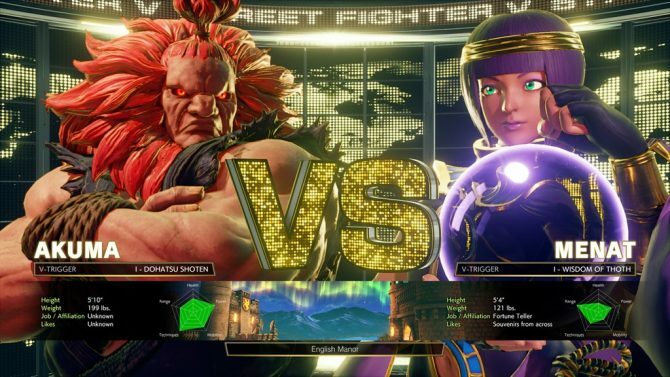 Fan favorites like Juri were brought back, but that also didn’t stop Capcom from adding new characters like Menat to the roster. While some may find a few characters (looking at you Abigail) questionable, they are still all pretty diverse in playstyle and fun to use in their own right: my personal favorites are Ryu, Kolin, and Akuma. 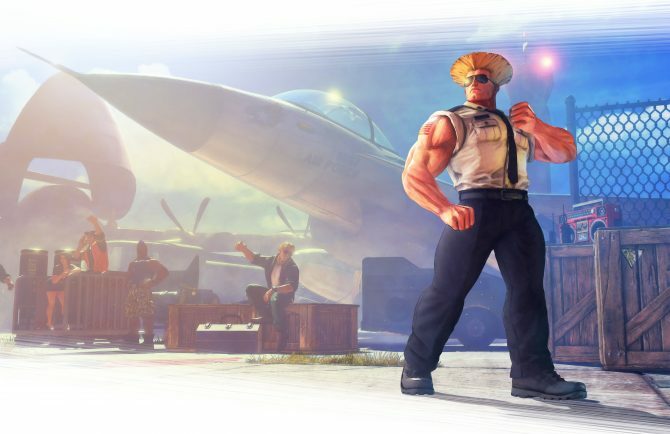 Then last October, Capcom revealed something big – Street Fighter V: Arcade Edition. While Capcom was still technically keeping their promise of not releasing a Super or Ultra Street Fighter V, as the contents of Arcade Edition were also added to the base game for free via an update, it finally brought the sorely needed Arcade mode and more to the game. I was eager to finally jump back into the game after not playing it for a long time and was happy with the amount of content present. 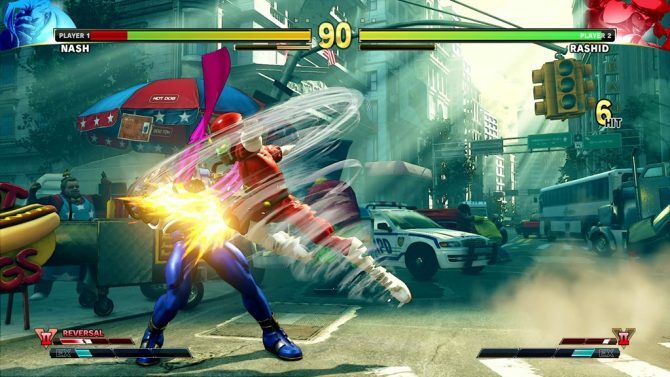 The long-awaited Arcade mode features six different paths for players to venture through based on all the mainline titles and Street Fighter Alpha. While it still doesn’t match Injustice 2‘s Multiverse mode, Arcade mode is still a ton of fun and offers hours of single-player entertainment for players to sink their teeth into – finally. 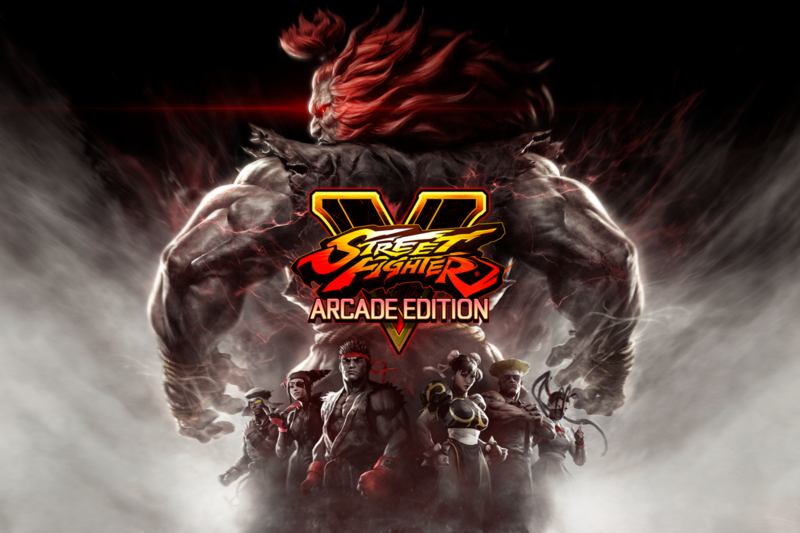 Outside of that, Street Fighter V: Arcade Edition also gives players immediate access to all previously-released DLC characters and their stories, a gallery to view illustrations unlocked after beating Arcade mode, an Extra Battle mode where players can partake in challenges to unlock costumes based on other Capcom franchises like Strider and Viewtiful Joe, and secondary V-Triggers for every character. As you can see, this is quite a hefty and noteworthy update, and I knew from the get-go I had a lot to sink my teeth into after my long time away. This huge content drop isn’t even the end of game updates from Capcom; in fact, it’s only the start of the game’s Season 3, which will include new DLC characters. The first one, Sakura, was available at launch and is quite fun to use. 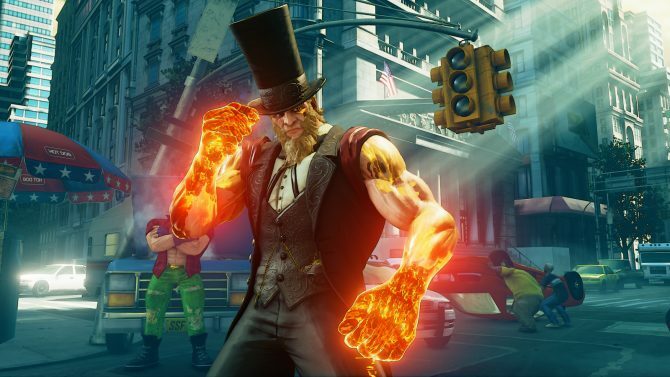 Blanka, Cody, Sagat, Falke, and G will be added to the game in the coming months, so there won’t be a lack of new characters to try out anytime soon. I was super impressed by the amount of new content Street Fighter V: Arcade Edition added, and as someone returning from a long time away from the game, I had a ton to sink my teeth into. With a reduced price of $40, two years later Street Fighter V: Arcade Edition is a stellar jumping on point for anyone looking to get into (or back into) this title if you have been hesitant to do so since the game’s initial launch. 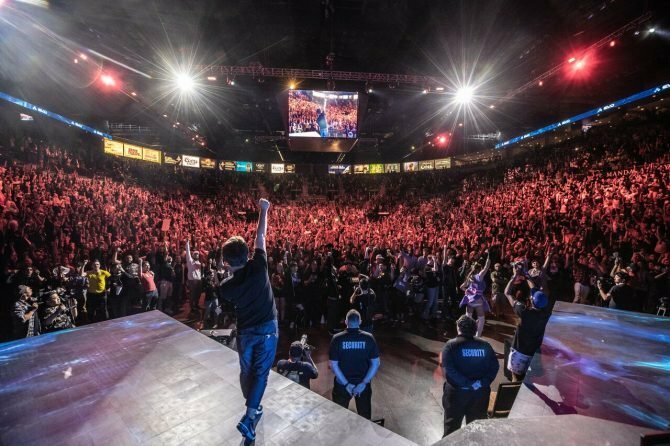 The game has improved for the better a lot more than many other titles with similarly rocky launches and has recovered into something that feels complete and fulfilling, not hollowed and eSports focused. If you can somehow drag yourself away from Monster Hunter World and Dragon Ball FighterZ in the coming weeks, you should definitely try to jump back into Street Fighter V and celebrate its upcoming two year anniversary — even if they haven’t been the smoothest two years around. Editor’s Note: A copy of Street Fighter V: Arcade Edition was provided to DualShockers by Capcom.